I have recently taken up yarn dyeing. I dye with color-safe food dyes because I feel that while I live in a small space, avoiding toxic powders helps keep me and my family safe. As I have learned and explored this new hobby, I have found it to be deeply satisfying, not only artistically, but surprisingly, spiritually. I find a mystical joy in the discovery of the colors as they develop that reminds me of how I feel when I sing. It is as though I am, through this art, connecting to a deeper spiritual plane that few other things reach. 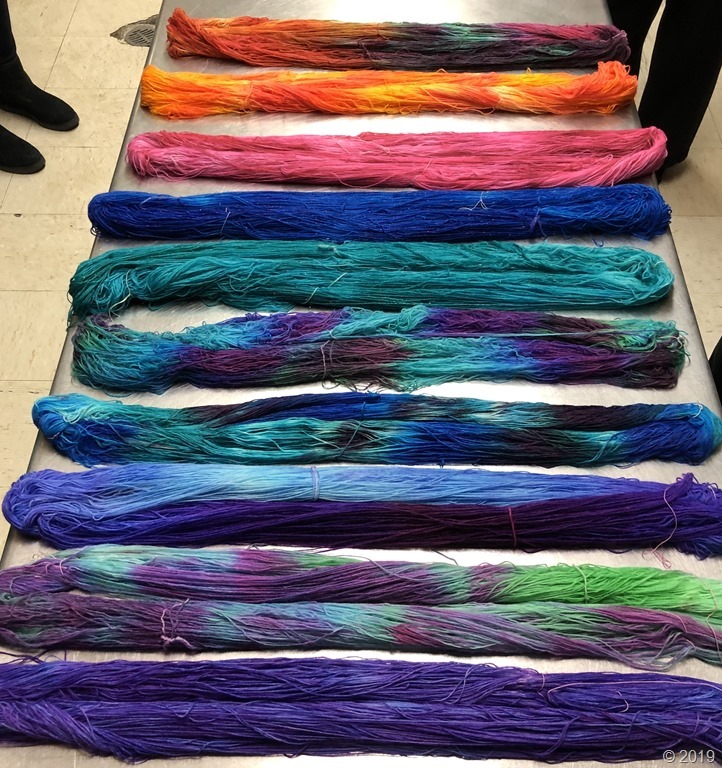 As I was preparing to teach a workshop at the synagogue on yarn dyeing, I wanted to make it Jewish, and wondered how I could help others find this spiritual connection as I had. I reviewed the symbolic meanings of the colors. I pondered the fact that yarn dyeing, like knitting is an act of creation, perhaps helping us to connect to the Divine Creator. But I think my connection goes beyond these things. G-d created the world with two simple words, “Y’hi Or” – let there be light. What is light? Light is a collection of colors. Pure white light is a combination of every color. When you dye yarn, particularly with food coloring, which is a mixture of colors which bind to the yarn at different rates, the resulting colors are somewhat unpredictable. 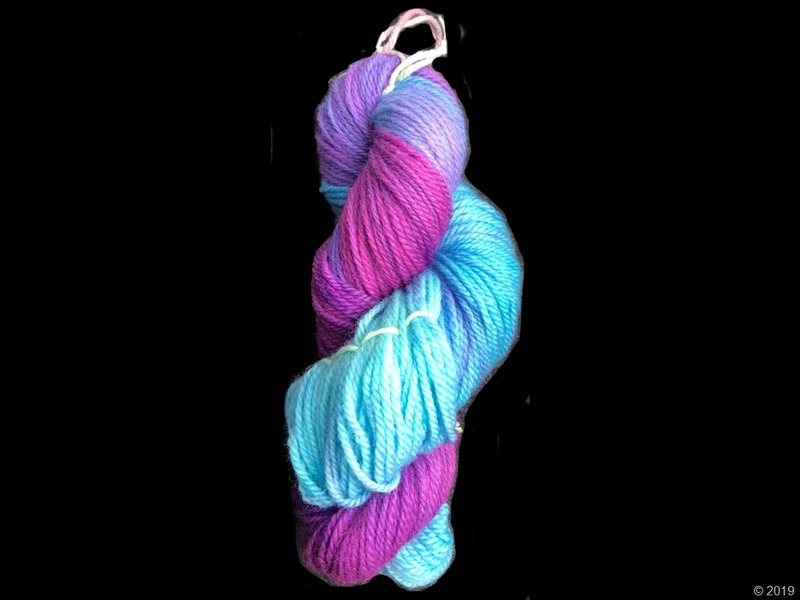 The resulting skeins are a surprise of color and that surprise connects us to our art, to the wonder of creation, and to the beauty inherent in both the purposeful act and the surprising result. It is an act of revelation – an unexpected beauty. These are the yarns that are synagogue yarn dyeing class created together.